A . 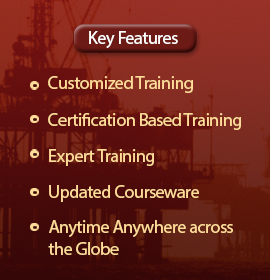 To ensure that the stresses in piping components in the system are within allowable limits. B. To solve dynamic problems developed due to mechanical vibration, fluid hammer, pulsation, relief valves, etc. II. Nozzle loading on connected equipment. IV. Loads & moments on supporting structure. A. 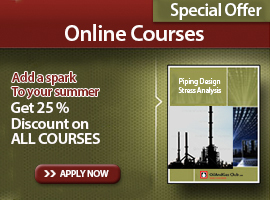 Identify the potential loads that the piping system would encounter during the life of the plant. B. Relate each of these loads to the stresses and strains developed. C. Get the cumulative effect of the potential loads in the system. D. Decide the allowable limits the system can withstand without failure as per code. E. After the system is designed to ensure that the stresses are within safe limits. 3. How the loads are classified in stress analysis package? A. Sustained Loads : Those due to forces present during normal operation. B. Occasional Loads : Those present during rare intervals of operation. C. Displacement Loads : Those due to displacement of pipe. (Self – limiting stresses due to thermal effects). 4. What are the sources of sustained load generated in piping system? B. Dead weight of pipe with fluid and its attachments. Sustained load is calculated as:- weight of pipe with fluid + internal fluid pressure load + load due to springs (W+P1). 5. 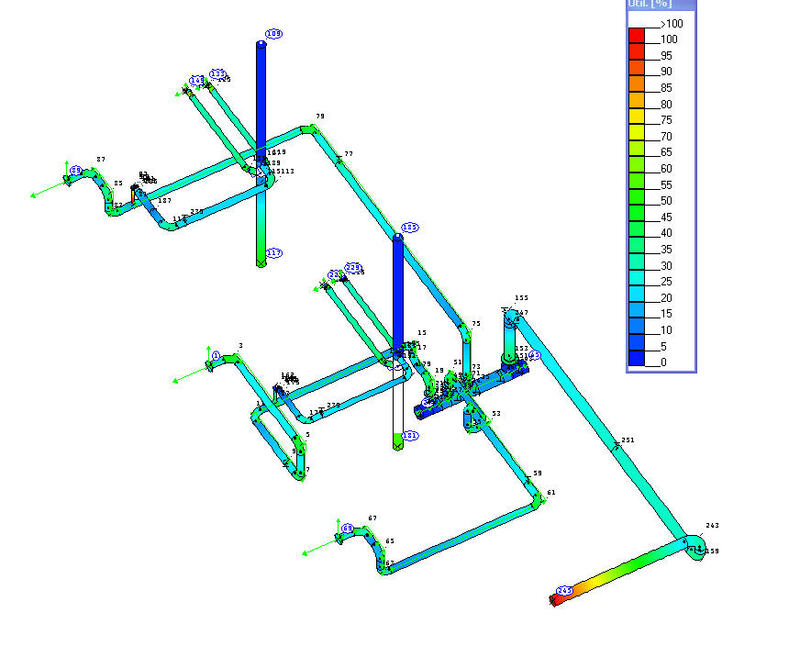 What are the inputs required for stress analysis of a piping system? 6. How do you calculate the operating load? T1 – Load due to thermal expansion. 7. Give some examples for occasional loads. C. Forces due to relief or blow down. D. Pressure wave generated due to water hammer effects. 8. What is the failure theory subscribed under ASME B31.3? A. Maximum principal stress theory (rankines theory). Answer: – A. maximum principal stress theory or rankines theory. 9. Select the failure stress range for fatigue failure due to thermal expansion as per B31.3? Where, SA= allowable expansion stress range. Sc and Sh = basic allowable material stress in cold & hot conditions respectively. 10. What is the desired life cycle for piping in operation? 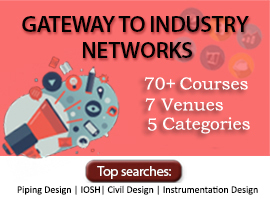 Desired life cycle for piping in operation is 20 years (7000 cycles). The normal no. of cycles for which the displacement or thermal stresses are designed is 7000 cycles.